The Navy Advancement Center will calculate the Final Multiple Score (FMS) for all E6 advancement candidates using the Reporting Senior Cumulative Average (RSCA) in accordance with NAVADMIN 312/18. This Performance Mark Average (PMA) change is intended to reward the most talented Sailors who display sustained superior performance. 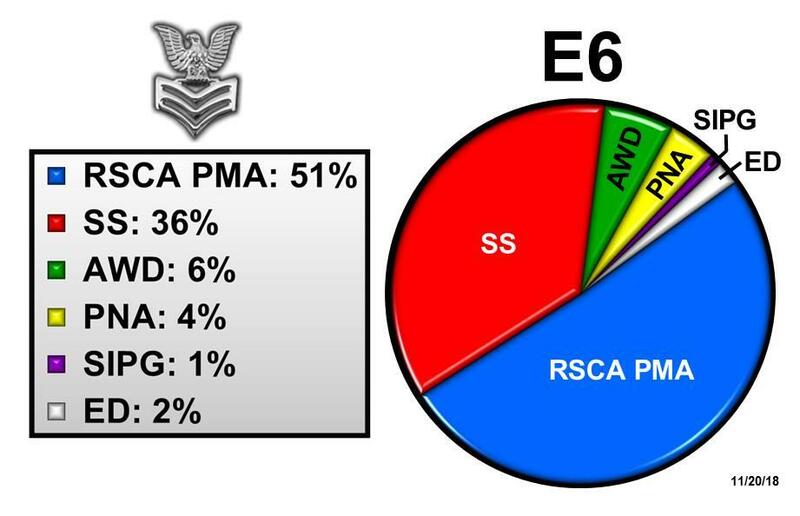 RSCA PMA provides additional variance in the performance metric, which will enhance the Navy's ability to advance the most qualified Sailors in each rating. RSCA PMA will be applied to the E7 FMS for advancement Cycle 246 (January 2020).